Children are impressionable, especially when they are young. Without the proper role models, they may assume that certain behaviors are okay when they really aren’t. This is particularly evident when it comes to oral care. Without good oral care role models, children can let their oral health fall by the wayside. For instance, how many children do you know that rush before bed to brush their teeth without being told to do so? That’s right — not many. In fact, most children have to be taught to incorporate proper oral health routines into their schedules. In this blog, we will be discussing why pediatric dentists are important, especially to influence your children to take proper care of their teeth. As a parent, you cannot monitor every aspect of your child’s life. Unfortunately, you don’t have control over whether your child uses proper oral hygiene when you aren’t around. That is where your pediatric dentist can come in handy. For instance, children are taught from a young age to respect adults and their authorities. To help make your dentist’s advice seem that much more important in your child’s eyes, you may want to explain to them that a dentist is like a “tooth doctor.” Every bit of advice their dentist gives them is meant to help them, as well as their pearly whites. Giving your child a bit of explanation of the situation will help them respect and listen to their dentist that much more. Dentists are great for your child because they are much more likely to listen to an adult in a lab coat, then their own parents. It sounds like the opposite, but children are less likely to believe their parents than an obvious professional. At a pediatric dentist, the primary focus is on preventative care. This means that your child’s dentist will work to give them advice and show them how to care for their teeth. The idea is to teach them how to care for their teeth so that they won’t develop serious dental issues in the future. With your dentist, your child will learn the importance of brushing and flossing. As well as some tricks to prevent tooth decay. This way your child will not only learn how to care for their teeth, by why it is important in the first place. Pediatric dental offices are a little more inviting them generic adult dental facilities. At our pediatric dental clinic, you will find games and toys for your child to play with. We set these items out to calm and encourage children to come to their pediatric dentist. After all, not many people like going to the dentist, least of all children. With toys and games in the waiting room, your child can distract themselves waiting for their dentist. This also provides parents with a momentary break from their children to finish paperwork and wait for the dentist. Most of the reason children don’t like the dentist is that it can be scary. Being in an isolated environment they are not used to can spark fits of anxiety. And who can blame them? Dental clinics will typically be empty, white, well, boring. Not to mention that the sterilizing environment is enough to make anyone, especially children, uncomfortable. Pediatric dentist offices, however, realize that traditional dental offices can be off-putting for children, which is why they are typically decorated and have an interactive waiting room. 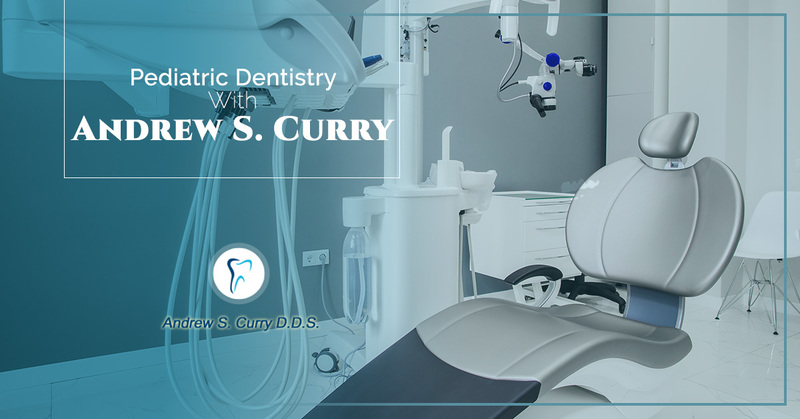 At Andrew S. Curry’s practice, you and your child will receive incredible care. What separates our practice from others is that we include dental care for all ages: children, adults and the elderly. No matter your age, you can receive optimal levels of dental care. Visit our dental office today for your dental care.